Sonos is partnering with Sonance for a new lineup of passive speakers. 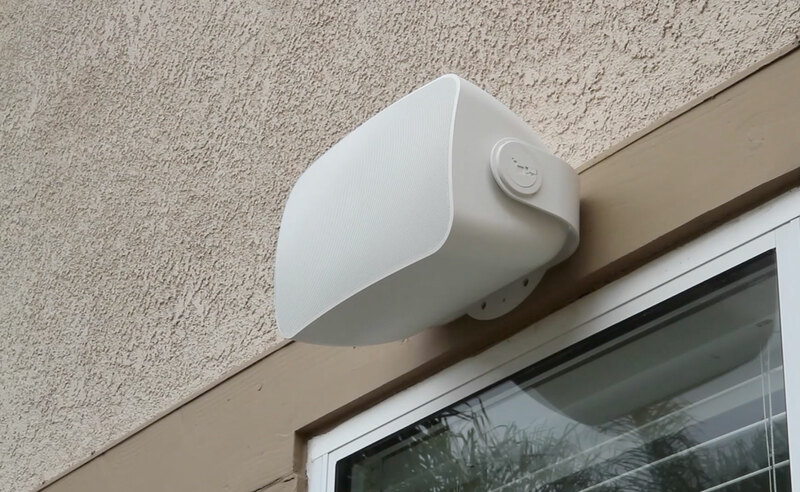 You can now pre-order in-ceiling, in-wall and outdoor Sonos speakers. These are weird products as you still need to connect those speakers with a Sonos Amp. In other words, you can’t control those speakers from the Sonos app without the Sonos Amp. But if you’re building a house and you want to put Sonos speakers around the house, this lineup is a good way to make sure that everything will be optimized for the Sonos ecosystem. The in-wall and in-ceiling speakers are designed to blend in with your walls. You can even paint on the grilles to make them disappear even more. They’ll start shipping on February 26 and you can pre-order them now — each pair of speakers cost $599. Outdoor speakers also come as a pair. They aren’t available just yet, but they’ll cost $799 a pair whenever they ship. And they should resist extreme temperatures, water and UV rays. According to the company, you can plug three pairs of speakers into a single Sonos Amp. If you plan to build a giant house, you can still buy multiple Amps and stack them up. Like other Sonos speakers, you can tune them using TruePlay. This process uses your iPhone or iPad microphone to analyze the size of your room and how your furniture affects your speaker. Sonos then adjusts speaker settings. Update: TruePlay will be available for in-wall and in-ceiling speakers.